This has raised growing interest both within the scientific community, by providing it with new research challenges, as well as in the business world, as applications such as marketing and financial prediction would gain remarkable benefits [12, 13, 14]. One of the main application tasks in this context is opinion mining , which is addressed by a significant number of Natural Language Processing techniques, e.g. for distinguishing objective from subjective statements , as well as for more fine-grained analysis of sentiment, such as polarity and emotions [8, 9, 10, 11]. Recently, this has been extended to the detection of irony, humor, and other forms of figurative language . In practice, this has led to the organisation of a series of shared tasks on sentiment analysis, including irony and figurative language detection (SemEval 2013, 2014, 2015), with the production of annotated data and development of running systems. However, existing solutions still have many limitations leaving the challenge of emotions and modality analysis still open. For example, there is the need for building/enriching semantic/cognitive resources for supporting emotion and modality recognition and analysis. Additionally, the joint treatment of modality and emotion is, computationally, trailing behind, and therefore the focus of ongoing, current research. Also, while we can produce rather robust deep semantic analysis of natural language, we still need to tune this analysis towards the processing of sentiment and modalities, which cannot be addressed by means of statistical models only, currently the prevailing approaches to sentiment analysis in NLP. The hybridization of NLP techniques with Semantic Web technologies is therefore a direction worth exploring, as recently shown in [4, 5, 6, 7, 8, 17]. Based on the lessons learned from the three previous editions [15, 16, 17], this year the scope of the workshop is a bit broader (although still focusing on a very specific domain) and accepted submissions will include abstracts and position papers in addition to full papers. The workshops main focus will be discussion rather than presentations, which are seen as seeds for boosting discussion topics, and an expected result will be a joint manifesto and a research roadmap that will provide the Semantic Web community with inspiring research challenges. We have an informal agreement with an Italian company that sells Semantic Sentiment Analysis services to give the introductory speech at the workshop showing market opportunities and giving directions to fill the gap between research and market. 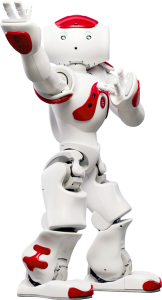 We plan on bringing with us a robot (see Figure 1), showing it at the workshop indicating some applications of the Semantic Sentiment Analysis it can perform (e.g. it performs speech to text, and will be able to act or speak depending on what emotion/sentiment it is able to recognize). We hope this can further open talking points towards future applications within the robotic domain. We have linked the Workshop with the Special Issue “Semantic Web Technologies for Sentiment Analysis” of MDPI Future Internet. The authors of accepted papers are encouraged to extend their work and submit in the special issue. Bo, P., and Lee, L. (2008). Opinion mining and sentiment analysis. Foundations and Trends in Information Retrieval , 2 (1-2), 1-135. Wiebe, J., and Ellen, R. (2005). Creating Subjective and Objective Sentence Classifiers from Unannotated Texts. Computational Linguistics and Intelligent Text Processing 6th International Conference, CICLing (pp. 486-497). Mexico City: Springer. Paula, C., Sarmento, L., Silva, M. J., and de Oliveira, E. (2009). Clues for detecting irony in user-generated contents: oh…!! it’s so easy;-). Proceedings of the 1st international CIKM workshop on Topic-sentiment analysis for mass opinion (pp. 53-56). ACM. Reforgiato Recupero, D., Presutti, V., Consoli, S., and Gangemi, A. (2014). Sentilo: Frame-Based Sentiment Analysis. Cognitive Computation , 1-15. Saif, H., He, Y., and Alani, H. (2012). Semantic sentiment analysis of Twitter. 11th International Semantic Web Conference (ISWC 2012) (pp. 508-524). Springer. Gangemi, A., Presutti, V., and Reforgiato Recupero, D. (2014). Frame- based detection of opinion holders and topics: a model and a tool. IEEE Computational Intelligence , 9 (1), 20-30. Cambria, E., and Hussain, A. (2012). Sentic Computing: Techniques, Tools, and Applications. Springer. Toropova, V., A., (2014). Irony detection based on semantic similarity. SPIIRAS Proceedings, Vol. 1. 11. Reyes, A. and Rosso, P. and Buscaldi, D (2012). From humor recognition to irony detection: The figurative language of social media. Journal of Data & Knowledge Engineering, Vol. 74. Barbieri, F. and Saggion, H., (2014). Automatic Detection of Irony and Humour in Twitter. International Conference on Computational Creativity.